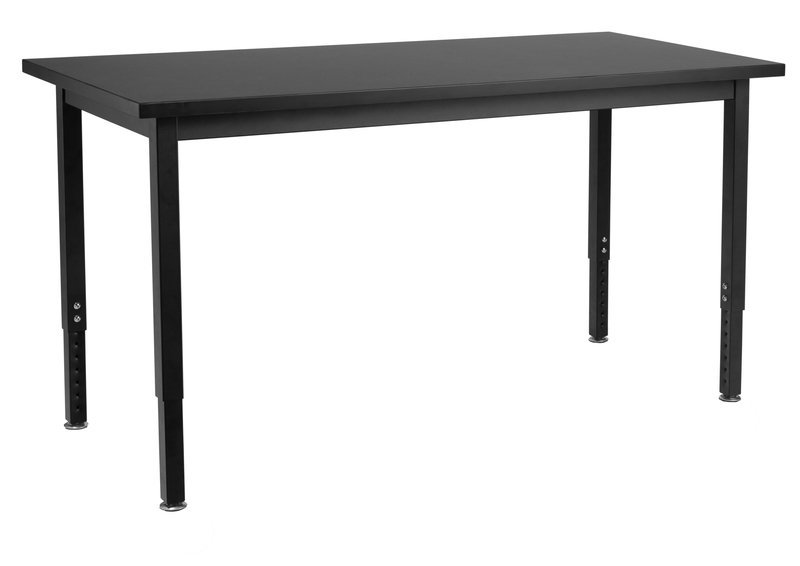 NPS Steel Science Tables are built to last and made for the toughest environments. 16 gauge steel frame apron and 14 gauge legs make this table virtually indestructible. The 11 gauge steel tabletop support tabs and corner brackets fuse as one with 4 heavy-duty tamper-free Loctite hex screws. The adjustable height steel legs feature a supreme dual connection. The (12 gauge) leg-base is fastened to the tabletop with 4 heavy-duty screws which gets inserted into the frame using a strong welded hangar bolt. Legs connect to the frame corner brackets with industrial-grade nylon-insert lock nuts. The legs adjust in 1” increments and are locked firmly in place with 2 K-9 external tooth lock washers and heavy duty tamper-free hex screws. All legs come standard with simple-adjust glides with optional casters. The Chemical Resistant table top provides the ideal surface for lab experiments. 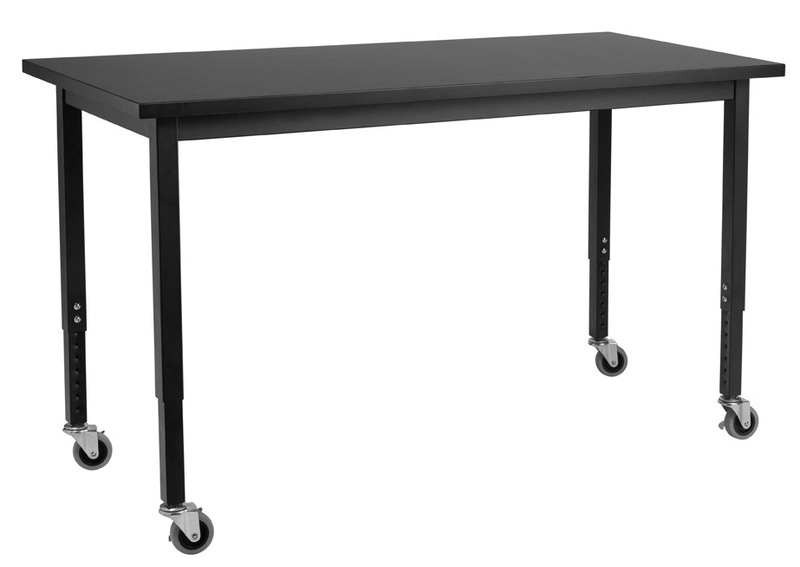 NPS Steel Leg Science Tables are the best choice for your industrial-grade table needs.